Shaquille O'Neal is letting go of his 31,000 square foot Orlando mansion. 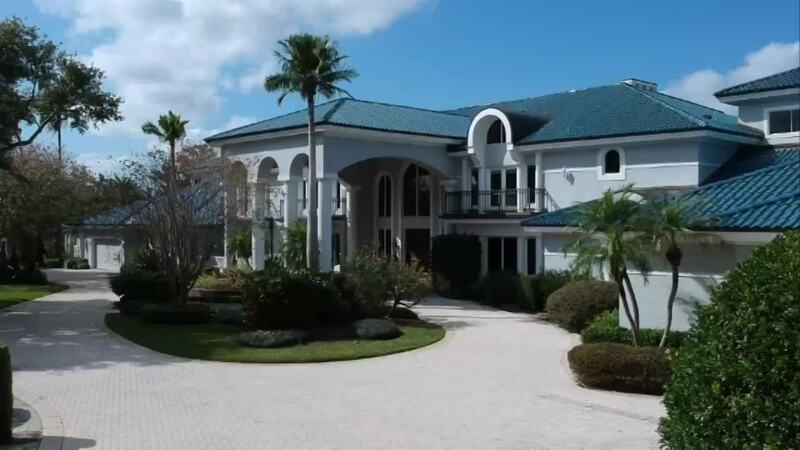 Shaquille O'Neal's supersized Florida mansion is for sale. The 31,000-square-foot mansion takes up nearly four acres on Lake Butler in Central Florida. There is plenty of room for family and guests and you won't be fighting over the bathrooms. The mansion has 12 bedrooms, 11 full bathrooms and four half-baths. The home was built in 1990 and features a 17-car showroom style garage. You can invite everyone you know over for a pool party. The pool is 95 feet long and has a waterfall, spa and a tiki-style cabana. If you like to shoot hoops you will be happy to know there is a 6,000-square-foot basketball court. The listing price is just shy of $22 million.